Segura have been specialising in motorcycle clothing for over 40 years making vintage Jackets, Gloves and race suits. 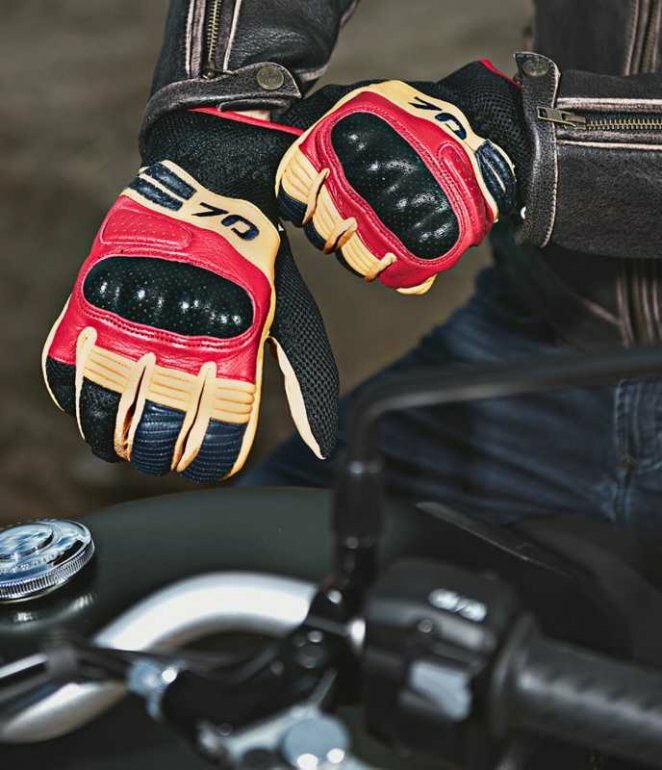 The newest pair of gloves to come from Segura are the Melbourne Gloves in Red/Beige, a mix of Goat leather, 3D mesh and Amara have been used for the outer shell making the glove breathable for warm days and strong for protection. The Melbourne Gloves feature Knuckle protection and palm reinforcement with adjustable cuffs and a polyester comfort lining. This glove is CE approved and comes with a 1 year warranty.